An Offer So Good…It’s Spooky! Escape to an island surrounded by incomparable, natural beauty and indulge in the luxury of serenity where stylish and spacious suites offer far-reaching views of the beach. At Sandals Emerald Bay, the Greg Norman-designed, 18-hole, par 72 championship course that winds along a stunning peninsula and one of the most beautiful white sand beaches in the Bahamas await. Choose to relish the Riviera Seaside & Ochi Beach Club vicinity overlooking half a mile of white sand beach, or enjoy the opulence of privacy with the secluded Riviera Villas & Great House on the hillside above. The diversity of Sandals Grande Riviera is illustrated in its magnificent villas and suites, private gazebos, stunning views of the Sea, beach and sky, an 18-hole golf course that rises 700 feet above sea level, and more! The only resort in Jamaica with a Private Offshore Island, Sandals Royal Caribbean gives you two getaways in one. Featuring the Royal Thai restaurant, luxurious swim-up suites, and 7 gourmet restaurants, this resort is full of magical allure that inspires relaxation and romance. Plus, enjoy the ‘Stay at 1, Play at 3’ Sandals philosophy which allows you to experience all three Sandals Resorts in Montego Bay. Once an alluring getaway for the Duke and Duchess of Windsor, today Sandals Royal Bahamian remains an oasis of European grandeur where guests are still treated as royals. Here seductive alabaster sand beaches and crystalline waters embrace tropical gardens and opulent suites – all combine to make your stay in paradise perfectly complete. 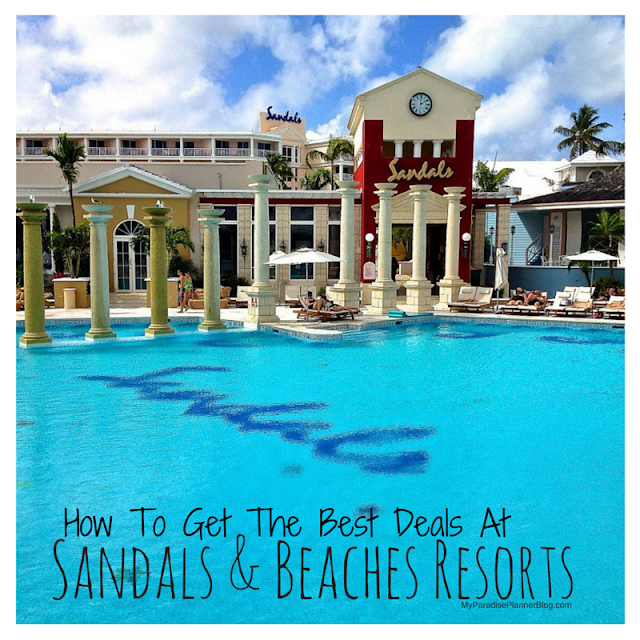 Whether you’re looking for a fun-in-the-sun getaway to Jamaica or the Bahamas to escape those winter doldrums, we’ve got this exclusive Sandals Select Rewards offer to help make your decision a little easier! Valid on new bookings made between the dates of October 01, 2012 – October 31, 2012. Guests are eligible to receive 10,000 points for travel period November 1, 2012 – December 31, 2012 and 5000 points for travel period January 01 2012- March 31st 2012 on stays of 4 paid nights or longer in any room category at Sandals Royal Bahamian (SRB), Sandals Emerald Bay (SEB), Sandals Grande Riviera (SGO), or Sandals Royal Caribbean (SRC). 10,000 bonus points are available for immediate redemption on 2012 bookings. 5000 bonus points available for immediate redemption on 2013 bookings. Non-combinable with other points offers. Only one SSWIN12 offer per split booking. This offer is capacity controlled and can be withdrawn without notice. Not responsible for omissions or errors.